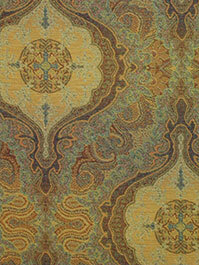 Maxwell Fabrics introduced its Fall 2013 Collection and included in the new books is Gentlemen's Club. 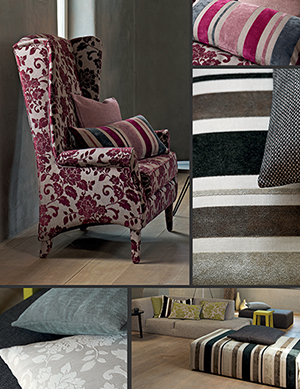 Gentlemen's Club a masculine collection of fabrics suitable for light upholstery, bedding and drapery. Gentlemen's Club emphasizes plaids and tweeds with a polished and refined sophistication. Download our Fabrications Newsletter, contact your sales representative or visit your local showroom to see the Maxwell Fabrics Fall Collection today. Maxwell Fabrics Fall 2013 Collection and top-selling fabrics will be featured at NYDC's What's New/What's Next on Thursday, September 19. This annual event highlights the best in the interior design industry forecasting new trends and products. It's a must-attend for New York and New Jersey based designers. Check out our Fall 2013 Collection at Flourishes Showroom Suite #414. For more informaiton please visit the NYDC website. 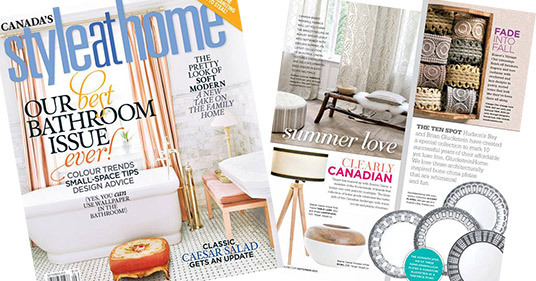 Maxwell Fabrics is proud to be featured in September's issue of Canada's Style At Home magazine. The Endless Summer Collection was included on page 42 detailing Maxwell Fabrics "beautiful linens, textured chenilles and delicate embroidered sheers in easy-to-mix neutrals". Maxwell Fabrics would like to thank our Canadian customers for their business! Maxwell Fabrics is pleased to launch our Summer Collection 2013 - Invigorating & Bold to the design community. Featuring several new collections and fabric choices, desigers will love the variety ranging from lighter toned neutrals, bright clean colors and vintage vibe looks. Download our Summer 2013 Fabrications newsletter here. 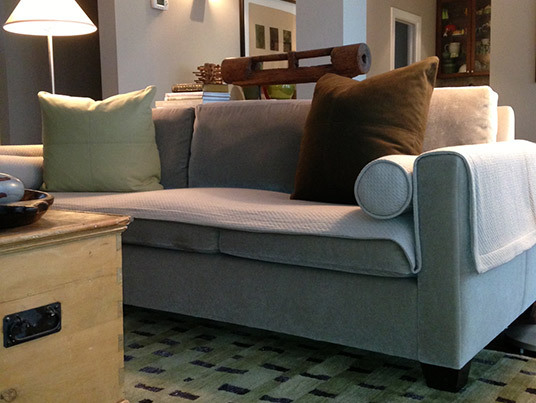 Featured above is Two's Company, an ultra contemporary, heavy-duty bonded upholstery fabric with a natural linen look. 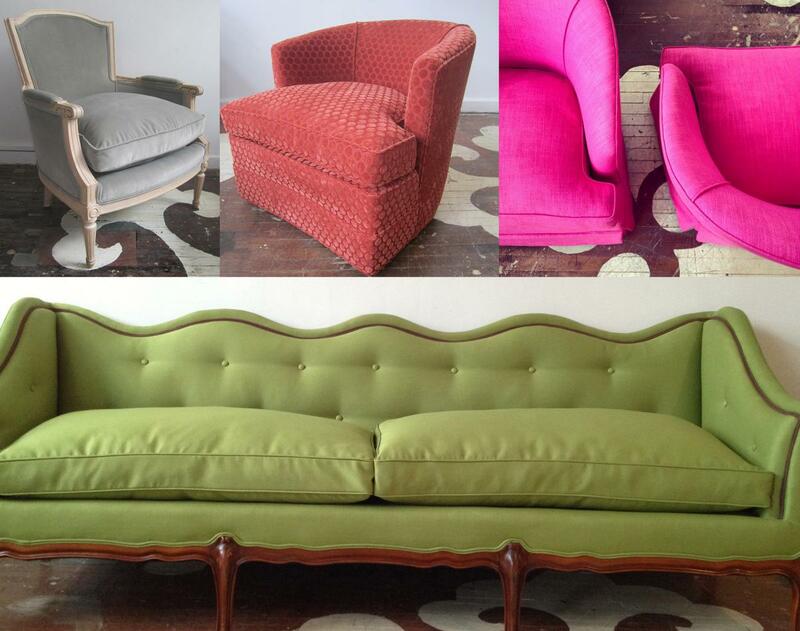 Thinking of reupholstering your furniture? Choose from Two's Company's 60 lush colours. Here at Maxwell Fabrics we often receive feedback from customers about pets and fabrics. For example, "My cat won't stop clawing at my new Maxwell Fabrics' sheers!" Although we cannot control feline behaviour (and like to think that your cat has good taste) we can offer a few creative solutions from other customers. For example, ART + Commerce Design in Vancouver needed a way to protect a Telafina mohair upholstered sofa from a little Scottish terrior. They used an outdoor fabric called Petit Puff #1915 Gravel and made a cover and two bolsters with an attractive, quilted and tailored look. It proved to be the perfect safeguard for the sofa. Best of all: the cover is washable! See the two images below. Petit Puff comes in nine colours and is from the Home and Garden Sahara collection. To learn more about caring for your fabrics please read our Textile Reference Guide. Maxwell Fabrics continues to gain prominence and exposure as the preferred fabric supplier to the design community in North America, this time by partnering with Shelby Williams, a leader in the commercial furniture industry. Maxwell Fabrics worked with Shelby Williams to create an inviting and modern design booth at HD Expo, the Hospitality Design Expo & Conference in Las Vegas, Nevada. 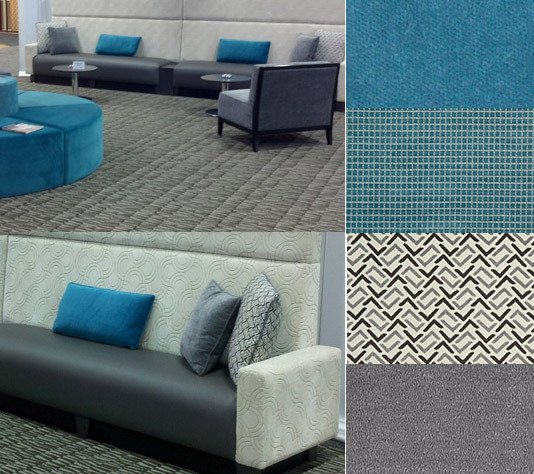 "Maxwell Fabrics supplied high-quality upholstery fabrics that worked perfectly with our vision," said Jordan McInturf, VP Sales for Shelby Williams. 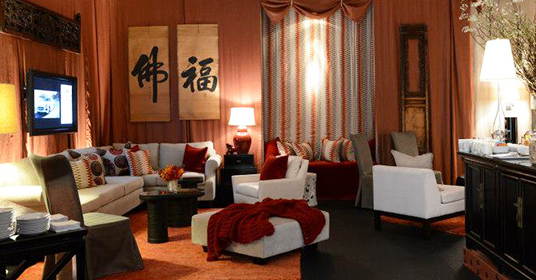 "We had a lot of great feedback about the furniture pieces from HD Expo attendees." Maxwell Fabrics supplied three patterns for the exhibition booth. Seine 04 Wolf was used to upholster two side chairs. Winter Sky 1070 Cyan was used for the interior wedge part of the circular sofa and Times Square 111 Sapphire was used for the round drum seats. The accessory pillows on the bench were covered in Rendezvous 03 Slate, Winter Sky 1070 Cyan and Seine 04 Wolf. HD Expo is an annual trade show for the hospitality design industry with 900 exhibitors and over 7000 attendees. Maxwell Fabrics continues to be represented through ongoing strategic partnerships and at multiple showrooms across North America. Chairloom located in Ardmore, Pennsylvania has a booming business restoring old furniture and calls on Maxwell Fabrics frequently to order solids - often choosing Gig Harbour or Mainstays- to revitalize their Danish modern furniture finds. Vancouver-based designer Margot Jagger ordered a denim pattern from the exclusive Maxwell Fabrics VIP collection to bring new life into her client’s antique bench. 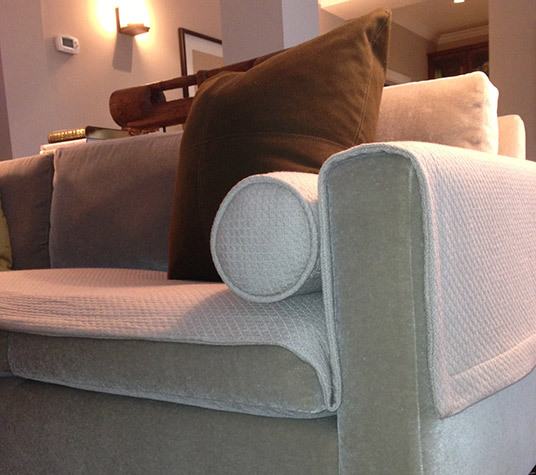 Reupholstering older furniture makes economic sense too. Purchasing an antique piece can be expensive but to find a run-down vintage chair in your grandmother’s basement and to have it upholstered in a funky new fabric is often cheaper. “With so many patterns and colors to choose from (over 18,000 at Maxwell Fabrics) the customer has the opportunity to make that it their own and completely unique,” adds Apple. 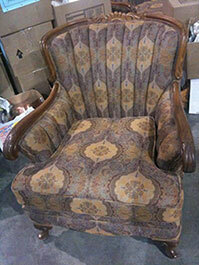 For more images please visit Maxwell Fabrics Pinterest Page dedicated to Vintage and Antique Furniture Upholstery. 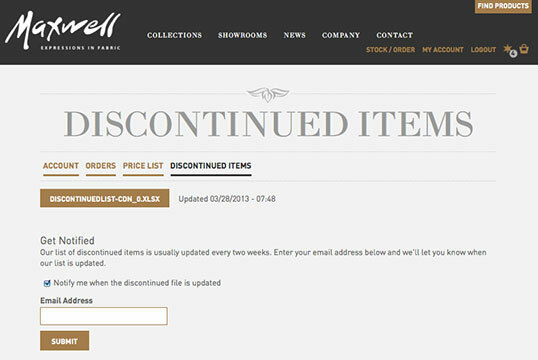 Customers can now access and print Maxwell Fabrics' Discontinued List. Log into your account with your Account Number and Password. Click on "My Account" in the top right corner and our Discontinued Items list is available for downloading or printing. See the screen shot below. Or feel free to watch an instructional video from our Online Support Library. Maxwell Fabrics is pleased to launch our Spring Collection 2013 - Color Explosion that includes the very popular book Stratosphere. Featured above is our Sunburst #21 London Grey. There are over 16 styles, patterns, and colors to choose from in Stratosphere. A Maxwell Fabrics pattern has been featured in the Star Lounge during Mercedes-Benz Fashion Week in New York. Maxwell Fabrics worked directly with influential event designer Wesley Cadle Inc. who used Yowza #280 Infra Red from the Summer 2012 Electric Collection for several accessory pillows and a dramatic wall-mounted drape in the exclusive VIP Star Lounge at the Lincoln Centre. 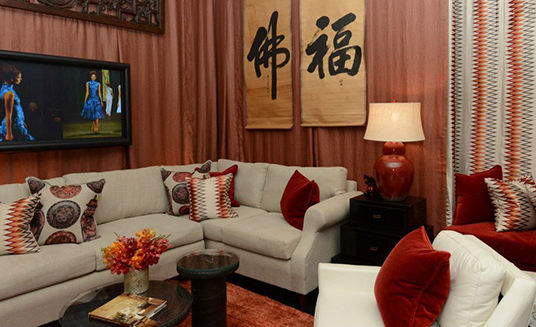 Wesley Cadle’s team reached out to Maxwell Fabrics with a specific pattern request to compete their theme: a modern interpretation of Asian traditions that included terra cotta glazed linen walls tacked with antique bronze studs, alcove seating groups with dramatic pillows, and traditional Asian consoles. Wesley’s team also chose accent tables made from repurposed moped tires and lacquered stone calligraphy brushes to create unique twists on eastern conventions. Maxwell Fabric’s Yowza #280 Infra Red added extra touches of movement and colour to complete the theme. Also included in the Star Lounge were Nicolette Mayer’s over-sized patterns of Chinese porcelain images on Belgian linen. This was the first time Maxwell Fabrics has participated with Wesley Cadle in the Star Lounge. The Star Lounge turned out to be a popular spot frequented by VIPs looking to relax and refresh amongst the bustle of Fashion Week. To see more images head over to the Maxwell Fabrics Facebook page. Maxwell Fabrics is a 60 year old, third generation, Vancouver-based fashion-wise supplier of modern-classic, fabric collections. Maxwell Fabrics connects to the design community to make beautiful fabric accessible and appreciated. Maxwell Fabrics features over 12,000 fabrics, patterns, and colors for upholstery, decorative accessories, bedding, and drapery in residential and commercial settings. All fabrics are available for viewing and purchase by visiting the Maxwell Fabrics collections online or calling 1-800-663-1159. Images courtesy of Wesley Cadle Inc. The Bates Motel is a much anticipated new TV series on A&E and filmed in Vancouver, British Columbia, Canada starring Oscar nominee Vera Farmiga. Maxwell Fabrics has been working with their set dec deptartment to help create the creepy background that will set the stage for this serial thriller, inspired by Alfred Hitchcock's 1960 classic film, Psycho. When the show airs on March 18, 2013 be sure to keep an eye out for the Victorian sofa and Mother's special chair in the Bates House made with Maxwell Fabrics pattern Turrel #1 Persian. For more information about "The Bates Motel" TV series visit the A&E website. Furniture Photos from GEP Productions Inc.
Do you love our new STUDIO collections? If so, then don't forget about CRAVINGS! Cravings is an elegant collection of linen and chenille patterns & textures, designed in Belgium exclusively by Maxwell Fabrics. Claudette, a traditional floral design, looks modern in fresh contemporary colors, and pairs beautifully with Colton, a bold chenille stripe. The two patterns are complimented with a masculine, multicolored, linen-like texture, and a sophisticated herringbone chenille. The balance between chenille and linen creates a casually glamorous ambience while the European color palette re"ects the most up to date fashion colors: plums accented with gray, citrus green and soft browns, and soft smokey blues with winter white. The entire collection passes over 30,000 double rubs giving it the strength and endurance to use residentially or commercially. Did you know Maxwell Fabrics carries drapery hardware? We do! Maxwell Fabrics has teamed up with one the biggest manufacturers in the North America to ensure quality in both style and function with six distinctively modern classic collections. The Ice Collection is designed for the modern-minded as a lighter more affordable option to glass. 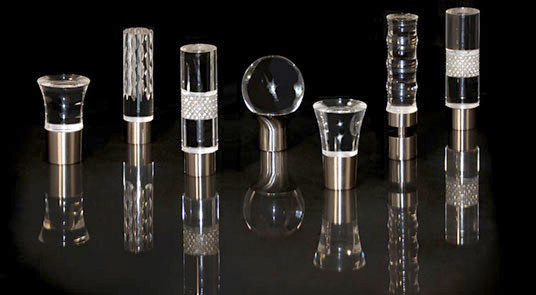 Finials are translucent beauties in understated and glamorous styles that pair perfectly with clear or stainless steel accessories for a high-end look. 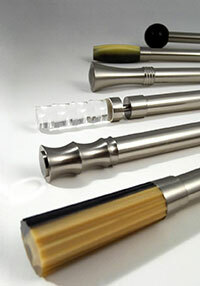 Clear Acrylic also offers a new slant on contemporary hardware with the smooth look of glass. 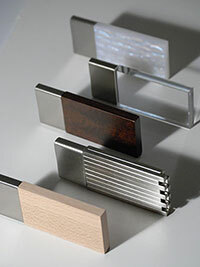 The Manhattan Collection is a clean, streamlined collection of modern hardware epitomizing the long lines and slender form of urban architecture. The Tuxedo Collection is an eclectic line of sleek and stylish finishes, utilizing a variety of materials such as beach-wood, steel, and acrylic to create a unique and versatile collection. 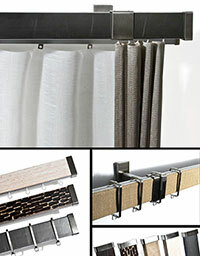 The Platforms collection combines unique materials with sleek style to add sophistication and practicality to any window treatment. Textured wood, linen, and faux leather rods adapt to contemporary or traditional settings with ease. This collection boasts a cutting edge traverse system, for a smooth continuous draw with C-rings for an environment demanding stainless steel accents or the more traditional traverse glides for pure minimalism. Platforms offers the best in form and function for any decor. Add style and functionality to your bathroom, patio, boat, or spa with this elegantly simple collection of rust-proof stainless steel hardware and grommets. This collection is also ideal for outdoor commercial spaces such as restaurants, resorts, and nightclubs. 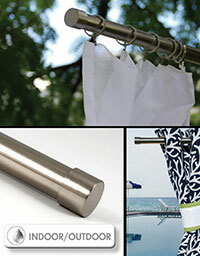 Maxwell Fabric's corrosion-resistant drapery hardware collection is designed to withstand most natural weather elements, salty ocean air and high moisture interiors. Must Haves is a must have! MUST HAVES, another new collection coming soon! Every designer really must have this fabulous compilation of beautiful cotton & silk-like textures for chic drapery treatments & bedding ensembles. The soft cotton sateen look, designed in Italy, is elegantly colored to achieve a signature look to compliment any setting, allowing it to be the perfect work-horse for all design libraries. The blend of taffeta and faux silk looks in this collection will allow for effortless harmonization into any decor. We are proud to introduce a new upholstery series to our Maxwell brand. The Studio Collection is a series of six books that will be introduced, two at a time, over the next 3 seasons. The following video features highlights from our Studio Collection and Kyoto Collection. Maxwell Fabrics is pleased to offer Nano-Tex for your chosen fabrics. Nano-Tex is breackthrough nano-technology and the first of its kind. It builds a permanent spill and stain resistance into the molecular structure of your fabric protecting your design, installation and your client's investment. Applications are for healthcare, hospitality, corporate, entertainment, and residential interiors. 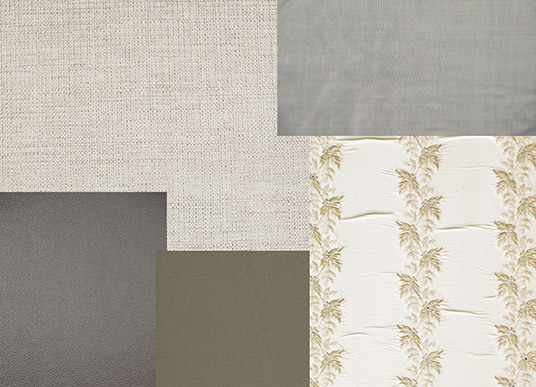 Nano-Tex can be used for curtains, drapery, seating, panel fabrics, bedding, cubicals, and wall coverings. Find out more more about Nano-Tex.